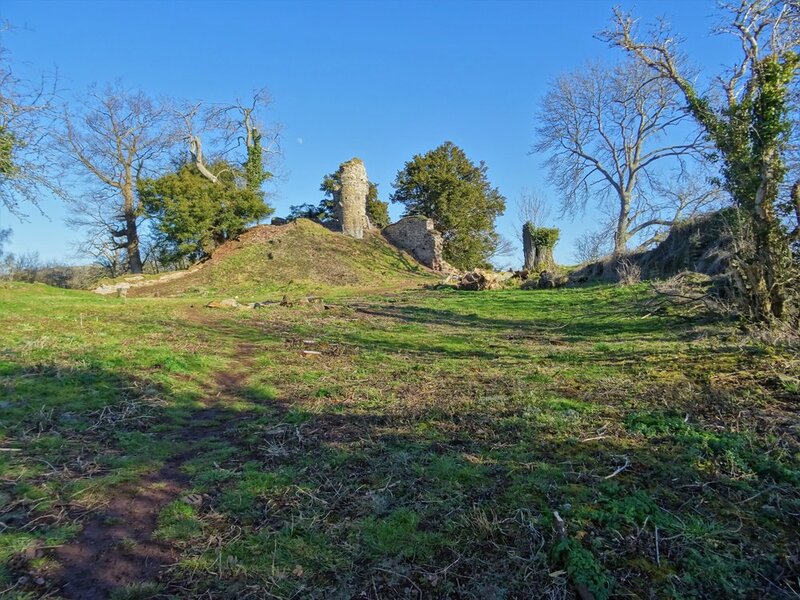 Snodhill Castle was the great lost castle of Herefordshire, virtually unknown, overgrown and rapidly disintegrating. Now through the hard work of Trustees, volunteers and the expertise of Historic England, the castle has been saved; its site cleared, its walls repaired and long term plans for its care and maintenance put in place. The castle is now in the best condition it has been in for centuries. The Trustees are delighted to now be able to re-open the castle so all can enjoy the privilege of exploring this unique, beautiful and mysterious place. Come and see our castle, appreciate the beauty of its situation and be intrigued by its many puzzles and oddities. Short film highlighting work being done to save scheduled monument Snodhill Castle released by Historic England. We are pleased to announce a unique opportunity. In conjunction with the Hay Festival we're organising a series of 'hard hat' tours of the newly cleared castle site, including the recent archaeological excavations and the restoration work commenced just two weeks ago by Sally Strachey Conservation Ltd and Historic England. The tours will be conducted by our Chair, castle expert Garry Crook, will last about 100 mins and include return minibus transport from Hay on Wye. Hard hats will be supplied! Places are strictly limited and allocated on a first-come, first-served basis. Tours cost £10.00 per person and depart at 10.00, 13.00 and 16.00 this Saturday 27th May, and next Saturday 3rd June. For more details and to book call Bridie Sullivan, Secretary, on 01981 550836 or email info@snodhillcastle.org as soon as possible. A team from HerefordshireArchaeology began some preliminary excavations on the South East Bastion prior to restoration work and uncovered a fascinating chamber whose purpose is as yet unclear. The castle welcomed Jesse Norman MP and Duncan Wilson CBE, CEO of Historic England. From Left to Right: Rhodri Evans: Principle Adviser Heritage at Risk (HE); Duncan Wilson: CEO, (HE); Jesse Norman: South Herefordshire's MP; Veryan Heal: Planning Director (HE); Garry Crook (SCPT Chair); Surrey Garland (SCPT Treasurer).